The material used in the Ultralight mask™ is a ‘four-way stretch’, air-permeable technical fabric that allows the face to breathe in hot and humid conditions. The Ultralight Olive Green and Black comes with a Black/Silver Powa Elite valve and a Black/Silver unbreakable nose clip and carry bag. The Sand model comes with White/Gold Powa Elite valves and a White/Gold nose clip. The Hepa-Type sports filter is fitted as standard – the perfect PM2.5 filter for areas high in diesel particulates or hot, dust storm conditions. 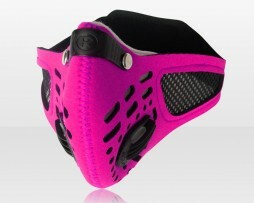 The Pink Sportsta™ Mask (same as the other Sportsta™ Masks) combines Hepa-Type filtration performance associated with sub-micron pollutants such as pollen and other irritant dusts, with a lightweight Neotex aerated mask. 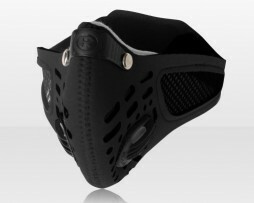 The Sportsta™ mask offers maximum ventilation without sacrificing filtration. To maximize rider performance, state of the art Powa valves are a standard feature and a must for all who ride to their limits.The Sportsta™ mask is usable in all outdoor sports pursuits where high levels of non-toxic dusts are present. : • : or any other filter of the same size! The Techno™ mask combines the Sportsta™ mask’s Hepa-Type filtration for sub-micron pollutants with the City™ mask’s Dynamic Activated Charcoal Cloth (DACC™) filter. This combination provides increased performance ability covering a broader spectrum of dusts and nuisance odours than either filter on its own. Working in combination with the Techno™ filter are two new Techno™ valves specifically designed to improve airflow performance on exhalation. 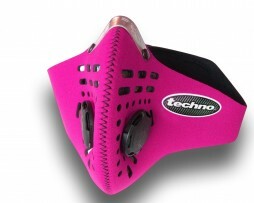 With these new features, the Techno™ mask is at the top of the range. This is Dr. Meu's favorite. A trusty steed with the best protection. 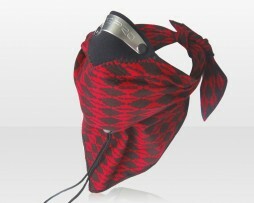 The Respro® Bandit™ Scarf screens against nuisance dusts and odours. It incorporates our Dynamic ACC (DACC™) filter which is strategically placed around the breathing area and laminated between the cotton material of the scarf. The Bandit™ has been made to last for at least six months, with the filter being specially treated to be fully washable. It is a comfortable and convenient product, suitable for both summer and winter riding conditions. : • : Be seen at night! The Nitesight™ mask is made of 100% Scotchlite with its filter (Dynamic ACC) offering filtration from the inhalation of pollutants associated with vehicle exhaust emissions. This is my new favorite. In the daytime it looks matte and grey; in the night it reflects light! The Nitesight Mask is made from a reflective Scotchlite skin making the you bright and shiny at night. As with all of our masks, the replacement filters and valves are interchangeable. This means you can have the illuminating benefits of the highly visible Nitesight mask combined with the highest level of filtration of the techno filter—this is my recommendation. Be seen at night! The Elite among us have one of these reserved for night use and a variety of other mask selections to match their get-up. Playalung encourages you to do what you will. 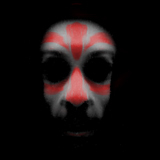 Your larger self is inherently good…. The PINK! 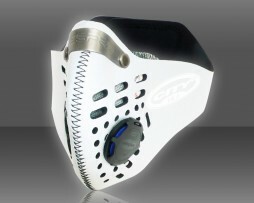 Techno™ Mask combines the Sportsta™ mask’s Hepa-Type filtration for sub-micron pollutants with the City™ mask’s Dynamic Activated Charcoal Cloth (DACC™) filter. This combination provides increased performance ability covering a broader spectrum of dusts and nuisance odours than either filter on its own. Working in combination with the Techno™ filter are two new Techno™ valves specifically designed to improve airflow performance on exhalation. 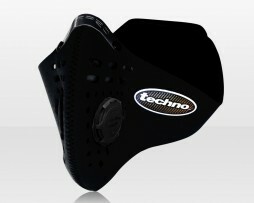 With these new features, the Techno™ mask is at the top of the range. The Sportsta™ mask combines Hepa-Type filtration performance associated with sub-micron pollutants such as pollen and other irritant dusts, with a lightweight Neotex aerated mask. 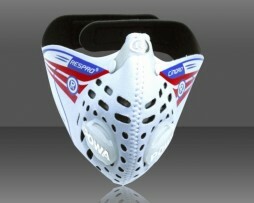 The Sportsta™ mask offers maximum ventilation without sacrificing filtration. 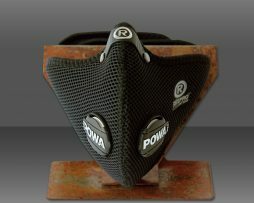 To maximize rider performance, state of the art Powa valves are a standard feature and a must for all who ride to their limits.The Sportsta™ mask is usable in all outdoor sports pursuits where high levels of non-toxic dusts are present.